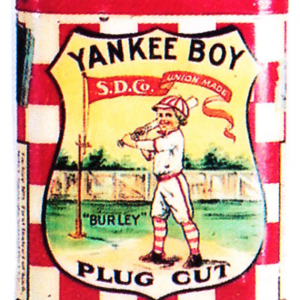 Early tin litho vertical tobacco pocket tin for Scotten Dillon Co.’s Yankee Boy brand, featuring great image of kid batter (dark hair version). 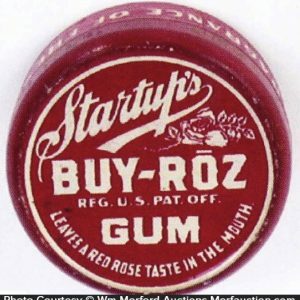 SKU: 82-111. 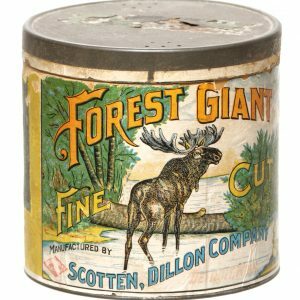 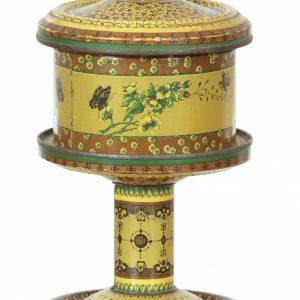 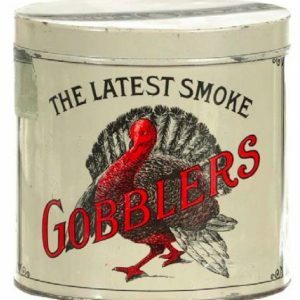 Categories: Antique Tins, Antique Tobacco, Antique Tobacco Tins, Sports. 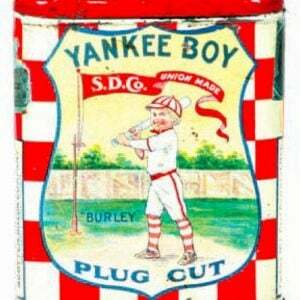 Company/Brand: Scotten Dillon Company, Yankee Boy Tobacco. 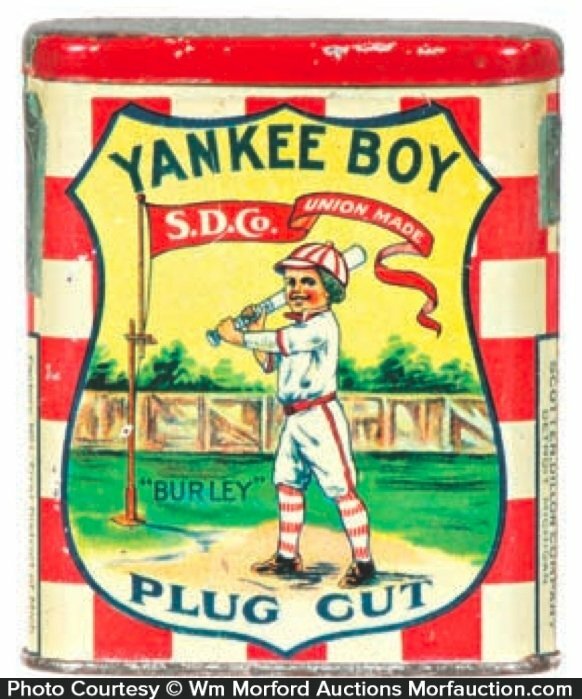 Yankee Boy Tobacco Tin: Early tin litho vertical tobacco pocket tin for Scotten Dillon Co.’s Yankee Boy brand, featuring great image of kid batter (dark hair version). 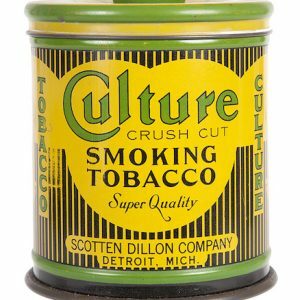 Clean, bright and excellent overall (displays a strong C. 8/+) w/ litho wear spot in one of checkerboard squares on backside.